Payroll is not the department that just hands out paychecks every two weeks. Payroll spiders out into almost everything a company does. And now that Congress has overhauled the tax code for the first time in 30 years, Payroll is affected in ways large and small. You need to become an expert in Payroll, because if you get it wrong, the IRS could hold you personally liable for 100% of the company's payroll taxes! Join your peers on April 3 at the Payroll Compliance Workshop, a special half-day event that will cover topics like timekeeping … expense reimbursement … travel pay … new tax laws … garnishments … preventing IRS/DOL audits … ACA reporting … and more. 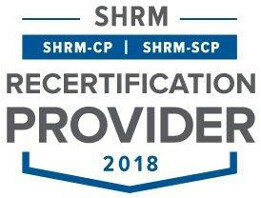 And with our unique workshop format, you can get solutions to your specific payroll problems from a true expert, attorney Alice Gilman, editor of Payroll Legal Alert and the Payroll Compliance Handbook. Stay in compliance — and out of trouble! Here is the agenda from the 2018 Payroll Compliance Workshop – the 2019 agenda is coming soon! you can join us for the Payroll Compliance Workshop via a live, interactive webinar link. 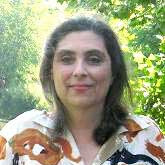 Alice Gilman, Esq., is an expert in payroll and tax compliance who has covered payroll issues for more than 26 years. She's written and edited several leading payroll publications, including Business Management Daily's Payroll Legal Alert, the Research Institute of America's Payroll Guide, Prentice Hall's American Payroll Association's Basic Guide to Payroll, and the Payroll Manager's Letter. She's also the editor of Business Management Daily's Payroll Compliance Handbook and The Complete FLSA Compliance Kit. She regularly hosts national training webinars on payroll and employment law issues. Join us at Paris, right on the strip. 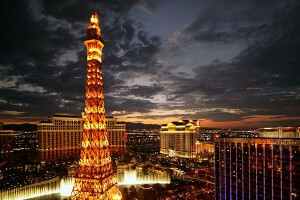 Payroll Compliance Workshop takes place at the legendary Paris in the heart of Las Vegas. This signature location boasts luxury, convenience – and the most dazzling views in all Las Vegas! Paris offers not just world-class service and style, but we've negotiated super-low room rates. 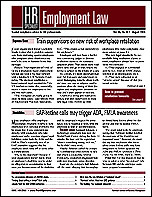 FREE Bonus #2 – 6-month, no-obligation subscription to the HR Specialist: Employment Law print newsletter. A $149.50 value, yours free! FREE Bonus #3 – 6-month, no-obligation membership to the HR Specialist: Premium Plus online information service. A $198.50 value, yours free! 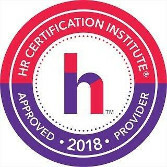 100% Satisfaction Guarantee: If, after attending the Payroll Compliance Workshop, you decide it didn't satisfy your needs, we will instantly refund 100% of your registration fee — every penny you paid. No hassles, no questions asked — and your course materials and all three FREE bonus gifts are yours to keep. It's that simple. We offer a full refund (less a $75 fee) for any cancellations prior to March 15, 2019. We've recruited top expert Alice Gilman to help you stay in compliance with federal and state payroll laws. Our plain-English legal advice helps you keep your organization in compliance — and out of court. Get real-world solutions to all your compliance questions in this 8-page monthly print newsletter. A $149.50 value, yours free! Copyright © 2017-2018, Business Management Daily.